The process of hydraulic fracturing, or 'fracking,' is driving output higher, a significant boost for the economy. NEW YORK – U.S. oil output is surging so fast that the United States could soon overtake Saudi Arabia as the world’s biggest producer. The last year the U.S. was the world’s largest producer was 2002, after the Saudis drastically cut production because of low oil prices in the aftermath of 9/11. Since then, the Saudis and the Russians have been the world leaders. The United States will still need to import lots of oil in the years ahead. Americans use 18.7 million barrels per day. But thanks to the growth in domestic production and the improving fuel efficiency of the nation’s cars and trucks, imports could fall by half by the end of the decade. The increase in production hasn’t translated to cheaper gasoline at the pump, and prices are expected to stay relatively high for the next few years because of growing demand for oil in developing nations and political instability in the Middle East and North Africa. Businesses that serve the oil industry, such as steel companies that supply drilling pipe and railroads that transport oil, aren’t the only ones benefiting. Homebuilders, auto dealers and retailers in energy-producing states are also getting a lift. “It’s the most important change to the economy since the advent of personal computers pushed up productivity in the 1990s,” said economist Philip Verleger, a visiting fellow at the Peterson Institute of International Economics. – A long period of high oil prices has given drillers the cash and the motivation to spend the large sums required to develop new techniques and search new places for oil. Over the past decade, oil has averaged $69 a barrel. During the previous decade, it averaged $21. – Production in the Gulf of Mexico, which slowed after BP’s 2010 well disaster and oil spill, has begun to climb again. Huge recent finds there are expected to help growth continue. – A natural gas glut forced drillers to dramatically slow natural gas exploration beginning about a year ago. Drillers suddenly had plenty of equipment and workers to shift to oil. “It’s a stunning turnaround,” Burkhard said. Whether the U.S. supplants Saudi Arabia as the world’s biggest producer will depend on the price of oil and Saudi production in the years ahead. Saudi Arabia sits on the world’s largest reserves of oil, and it raises and lowers production to try to keep oil prices steady. Saudi output is expected to remain about flat between now and 2017, according to the International Energy Agency. But Saudi oil is cheap to tap, while the methods needed to tap U.S. oil are very expensive. 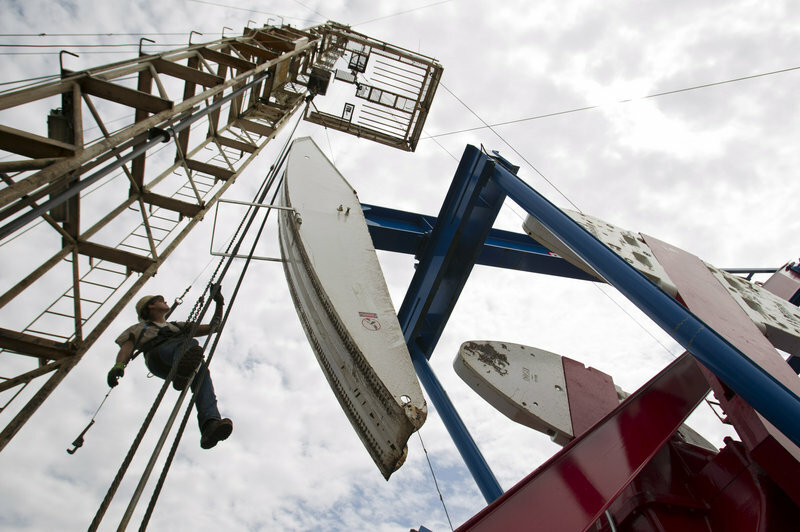 If the price falls below $75 per barrel, U.S. drillers will almost certainly begin to cut back. The IEA forecasts that global oil prices, which have averaged $107 per barrel this year, will slip to an average of $89 over the next five years — not a big enough drop for companies to cut back on exploration deeply. Nor are they expected to fall enough to bring back the days of cheap gasoline. Still, more of the money that Americans spend at the pump will flow to domestic drillers, which are then more likely to buy equipment here and hire U.S. workers.